WEST CHESTER, Pennsylvania - Mataiyasi Leuta of Cal State Monterey Bay's Rugby Club, along with Ahmad Harajly of the Detroit Tradesmen, earned an invitation to the Men's Eagles 7s High Performance Camp which began on 18 January 2015 at the United States Olympic Committee's Olympic Training Center. Their performance at camp could earn them a spot on the Men's Eagles Sevens team and travel to New Zealand next month. Leuta is not the first NSCRO player to be invited to the Men's Eagles 7s High Performance Camp. Kevon Williams of the New Mexico Highlands Vatos team, recently named "College 7s Player of the Year", also participated in one of Eagles head coach, Mike Friday's, early high performance camps last year. 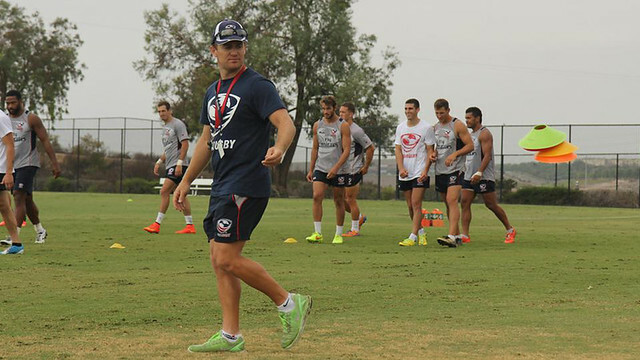 To read the more about the Men's Eagles 7s recruitment camp, click here.